The lawyer, Ben Emmerson, special investigator for the United Nations Human Rights Council, said at a news conference that the nine-month study would look at “drone strikes and other forms of remotely targeted killing,” including a wide array of so-called standoff weapons used in modern warfare, like ground-launched missiles and similar weapons fired from manned aircraft. The immediate focus, Mr. Emmerson said in an interview, would be on 25 selected drone strikes that had been conducted in recent years in Afghanistan, Pakistan, Yemen, Somalia and the Palestinian territories. That put the panel’s spotlight on the United States, Britain and Israel, the nations that have conducted drone attacks in those areas, but Mr. Emmerson said the inquiry would not be singling out the United States or any other countries. At his news conference, Mr. Emmerson, a co-founder of the London law partnership that includes Cherie Blair, wife of the former British prime minister Tony Blair, said the panel would assess the selected drone strikes and the reports that some of them had caused “disproportionate civilian casualties,” while posing little or no risk to the drone operators and offering a relatively inexpensive strike option to the nations using the drones. Any bid to place drone strikes under closer international scrutiny seems likely to run into strong resistance from the Obama administration, which has made widespread use of the weapons, particularly in the border areas of Pakistan. White House officials have said that Mr. Obama himself has personally approved many of the strikes, which are mainly carried out by drones operated by the Central Intelligence Agency. The inquiry grew out of a statement condemning the strikes that was issued at the human rights council in Geneva last year by a group of nations that have been severely critical of the American use of drones, led by China, Russia and Pakistan. 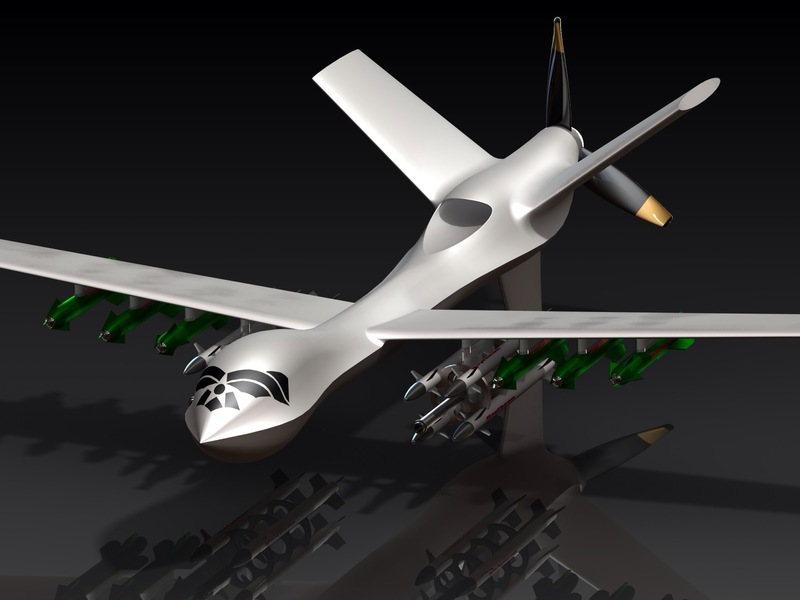 Subsequently, Mr. Emmerson angered American officials by suggesting that some “double tap” drone attacks, involving a second missile attack on a target, could be described as war crimes because they had been reported in some instances as having killed mourners at funerals for people killed in the initial strike, or tribal elders meeting at the target sites. Mr. Emmerson said that the 10-member panel included two Americans. One, Sarah Knuckey, is a human rights lawyer who teaches at New York University and wrote a report last year on civilian casualties from the American drone strikes in Pakistan that cited “the disastrous impact the drone strikes are having on the people who live under them.” The other, Capt. Jason Wright, is a serving Army lawyer who was at one time a defense counsel at Guantánamo Bay, Cuba, for Khalid Shaikh Mohammed, the professed mastermind of the Sept. 11, 2001, attacks on the United States. Other panel members include two prominent British lawyers, a British forensic pathologist, a senior Pakistani judge and a Yemeni human rights activist. In the interview, Mr. Emmerson said that he had received “reliable indications of cooperation from a variety of states” and that he was “strongly optimistic” that the Obama administration would follow their lead despite its reluctance in the past to disclose details of its inquiries into drone strikes to independent investigators and human rights groups.